A Pakistani Burraq combat UAV. It’s a locally assembled variant of a Chinese model. An arms deal between Beijing and Belgrade is currently in the works for the transfer of combat drone technology. This was announced on the heels of a state visit to China by Serbian President Aleksandar Vucic this week. Details of the transaction were shared by Serbia’s deputy defense minister and reported by Chinese state media. But the original news article has since disappeared from the PLA’s own propaganda website. 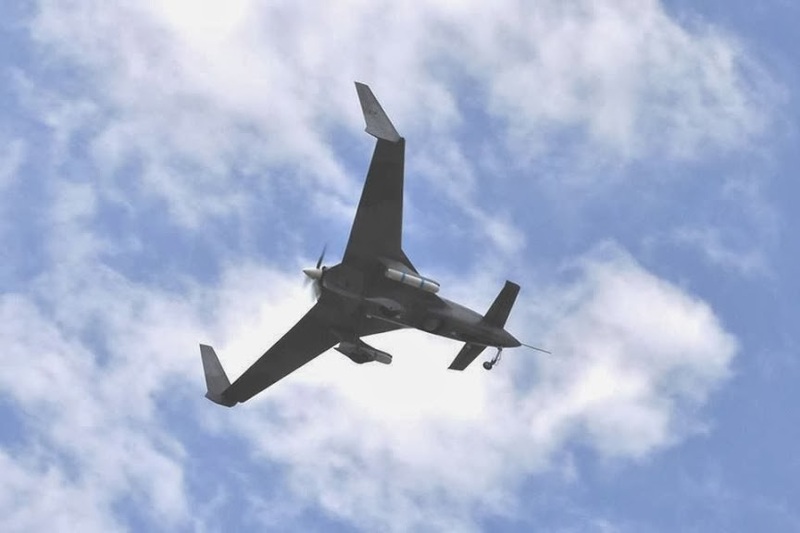 Although the value and timetable of the deal wasn’t revealed, for Serbia’s military to acquire combat drones should be noticed by Washington, DC and Brussels. To this day, the landlocked Balkan country is neither a member of the EU nor NATO. Serbia is already capable of assembling low altitude drones. But the requirement for combat UAVs from a foreign supplier is telling. Should long endurance Serbian drones take to the skies soon, these mark a huge leap in capabilities that surpass most European armies. To date, only Belarus–another non-EU and non-NATO country–has succeeded in producing a genuine combat UAV on its own. The transfer of drone technology is also a milestone for bilateral ties. The highlight of President Vucic’s visit were agreements for Chinese investments with the most publicized being the recapitalization of a Serbian steel mill. If dual use technology and funding from China are then directed to companies, this is another boon for Serbian manufacturing that extends to military products. Unlike its neighbors Bulgaria and Romania, Serbia has managed to cobble together an impressive export-ready catalog of military products that are compatible with NATO standards. The impressive Lazar 3 wheeled troop carrier, for example, is an 8×8 vehicle using a Timoney suspension system and a Cummins engine. In recent years, Serbia’s opaque armaments sector has produced battle robots and some of the deadliest artillery systems in Europe, including a 400mm rocket called the Yerina-1 with the range of a ballistic missile. Serbian munitions and small arms enjoy robust demand as well from Africa, the Middle East, and Southeast Asia. While the adoption of armed drones by Serbia’s military is a work in progress it shouldn’t be dismissed as a fluke. When China transferred its rocket artillery production to Belarus, the result was the Polonez, which is considered the one of today’s most lethal battlefield rocket systems. It’s not as if China and Serbia haven’t collaborated in the past, either. In circumstances that still can’t be explained, the PLA airborne deploy a tracked IFV called the ZBD-03 resembling the Serbian BVP M-80 amphibious troop carrier. It’s equally baffling how the portable recoilless anti-tank weapon of all PLA ground forces looks like a Serbian rocket launcher called the M20. It also doesn’t seem like a coincidence how a Serbian 122mm howitzer mounted on a 6×6 truck is a faithful reproduction of the PCL-09 truck howitzer. The unexplained connections between the Chinese and Serbian military industries are too striking to ignore. China’s friendliness with Serbia does makes sense from a strategic perspective. If an accessible maritime route to the EU is Beijing’s goal, then the Balkans are prime locations for establishing ports and storage facilities because these investments won’t receive push back from Brussels. But for Serbia to acquire Chinese military technology should be a cause for concern among European leaders because these components and subsystems are on par with what NATO armies use.